What an explosive year 2014 was for volcanism (pun intended). In this post, I have picked 1 volcano for each month, those that made the international news and some that did not make it that far. It will be brief but I will provide some hyperlinks to places where you can read on further if you wish. UPDATE: Glossary page has been updated to give a brief definition of some terms that are found in this post. Image by Anon. (2014). Taken from here. Well I never heard about this one at all! According to the Alaska Volcano Observatory, an explosion was detected on seismic and infrasound instruments and increased surface temperatures following the explosion were also detected. The third explosion occurred on the 1st January and the next day the aviation colour code was changed to orange. The volcano erupted again in February. Image by Dzakaaul H. (2014). Ah yes I remember this picture. Satellites first detected the eruption plume at 23:09 local time (16:09 UTC) and parts of the ash plume reached just a short of 30 km. The large amount of heat emitted caused the plume to be buoyant over the equilibrium level which is pretty impressive but what I find interesting is that this buoyant plume did not produce any significant pyroclastic density currents (PDCs) especially since the eruption forced its way through a 2007 lava dome. 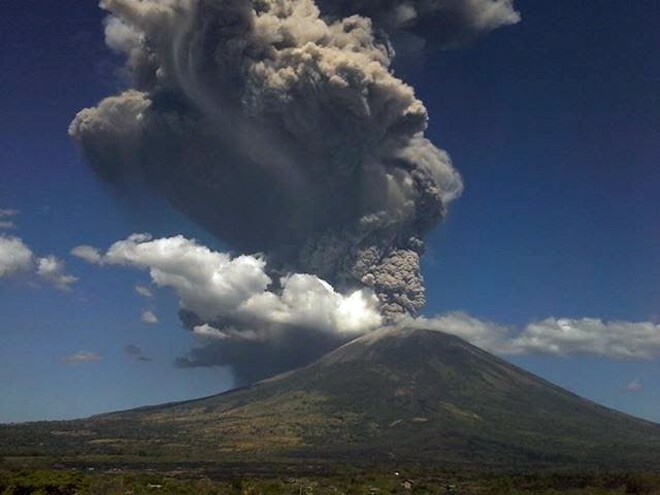 The eruption was classified as a 4 on the Volcanic Explosivity Index (VEI) making it a subplinian eruption. It was one of the largest eruptions since the Puyehue-Cordon Caulle eruption in Chile which happened in 2010. Image by Conred (2014). Taken from here. It is one of the most active volcanoes in Guatemala and can be easily seen from the capital, Guatemala City. Its common activity is strombolian activity and lava flows. 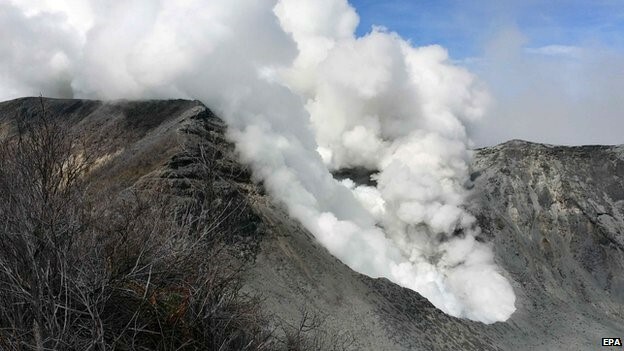 On the 6th-7th and the 9th-10th March this year, small explosions generated ash plumes, a minor avalanche and during the 8th-9th lava flows were observed along with steam plumes rising 200 m above the crater. This volcano is impressively persistent. On the 2nd April, it was reported that there was an explosion in the morning and at night, with large incandescent blocks tumbling down the flanks. The explosion in the night ejected incandescent blocks and produced an ash plume. On the 4th, an explosion lasted for 5 minutes and generated PDCs. 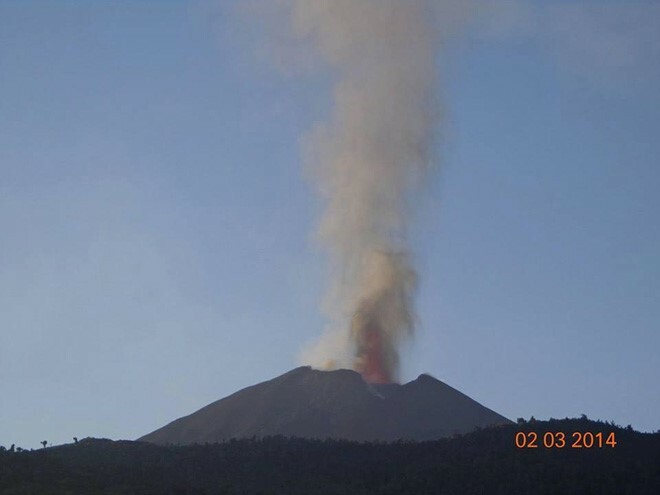 Reports about the eruption continued throughout the month. Here is a news article where you can learn what Tungurahua means. Media can be informative sometimes. Image by Zelaya E. (2013). Taken from here. It is amazing how often national news does not make the international stage. On the 10th May, the volcano emitted small amounts of ash that fell as less than 1 mm, but on the 19th, the activity increased greatly. There was an increased frequency and magnitude of gas emissions and small explosions along with ashfall. San Miguel continued the on/off activity until July. 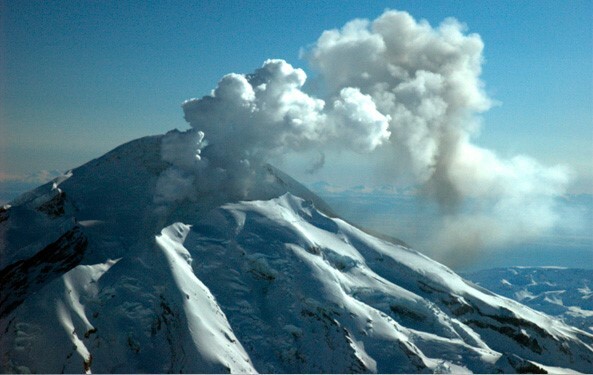 Image by the Alaska Volcano Observatory (2014). Taken from here. 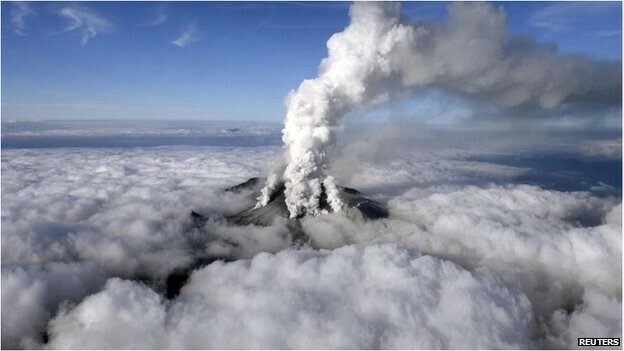 Pavlof is the most active volcano in the Alaskan region (current status is minor activity). Its eruptions are mainly strombolian to vulcanian and sometimes produces lava flows. In the above picture, to the right of Pavlof is its twin, Pavlof Sister. On the 3rd June a steam plume was observed and PCDs generated a low-level of ash. Seismicity remained constant during this time and elevated surface temperatures were also observed. Lava fountaining was seen on the 4th. On the following day, two strong explosions were detected along with lightning. Activity continued until the 9th but at a diminished rate. 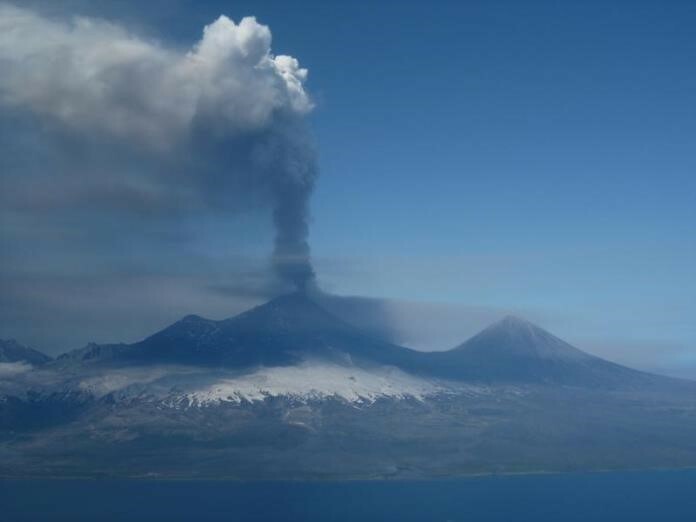 Pavlof erupted again in November. Image by ATAR/AFP/Getty (2014). Taken from here. People should remember the news story back in February. Evacuations were ordered when there was unrest in September 2013 but unfortunately there were still fatalities. Activity was still persistent in July, with a white plume reaching up to 2,000 m above the crater during the 8th-14th July. The plume also changed colour between brown and blue (which is pretty awesome). PDCs were observed on the 10th, extending 3 km south and further PDCs on the 12th also travelled south by 3-4 km. 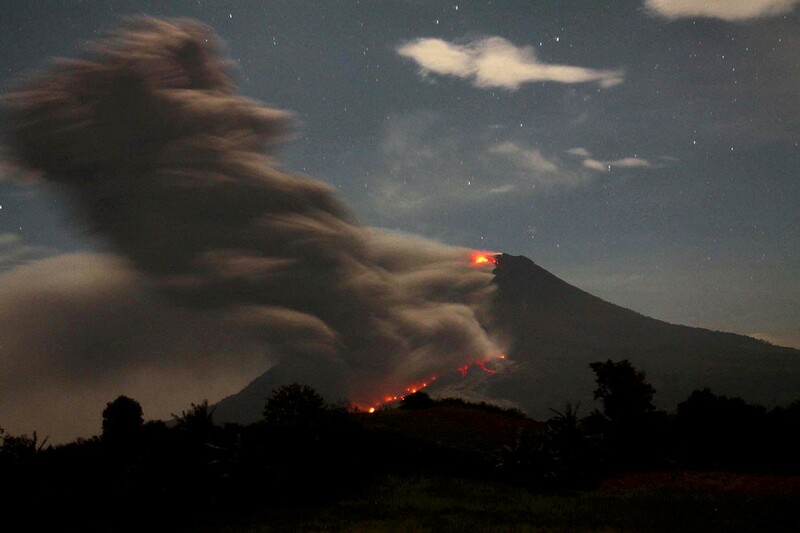 A lot of sulphur dioxide emissions (which causes the blue illumination) were emitted from Sinabung during this month: 1,252 tonnes/day between the 8th-14th July and up to 3,796 tonnes/day during the 11th to the 18th. 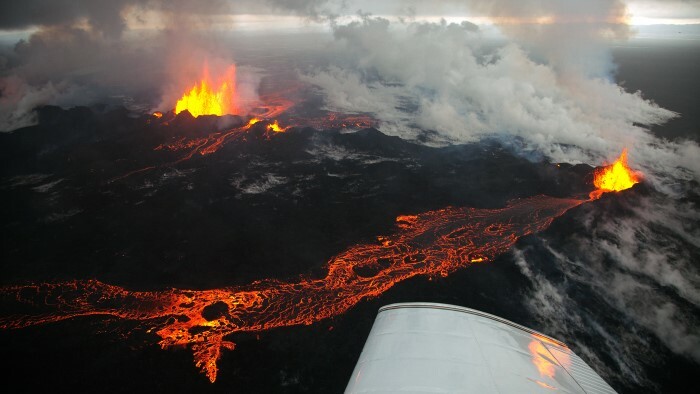 Although in February it was a ‘big’ eruption, it has still been categorised as a VEI 2 eruption. So 2 magnitudes smaller than Kelut. Image by Norddahl E. and Norddahl B. (2014). The media were all over this one in Europe because everyone thought it would be like EyafjallajÖkull back in 2011. 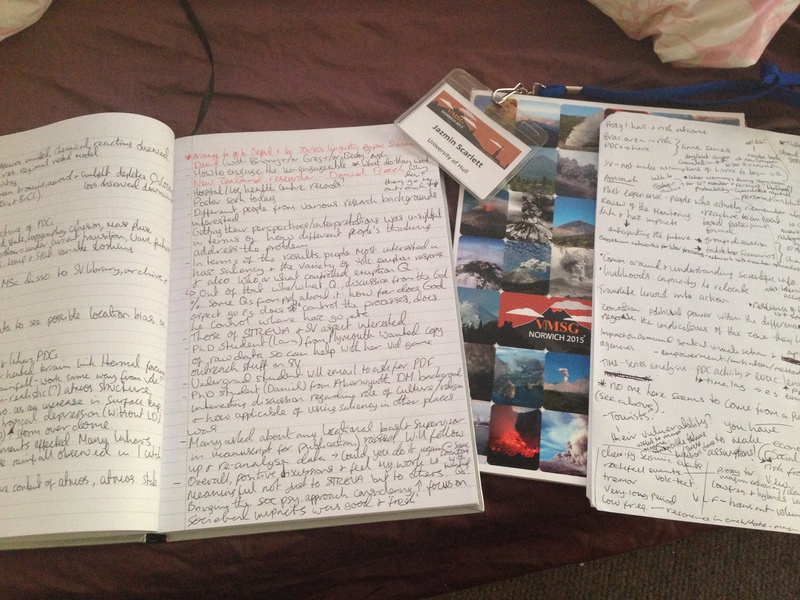 I remember the excitement within the volcanology community and especially on my Masters course. The media left it alone when they learned it would not produce the same effect as Eya which is a shame because it is one beautiful eruption. One of the reasons why the eruptions differ from one another is due to the role of the ice. Image by BBC News (2014). Taken from here. People started blaming the Japanese volcanologists for predicting the eruption that killed 57 people. Read my supervisor’s take on why it could not be predicted. I shall say no more, I can get passive aggressive another time. A phreatic eruption occurred just before midday with only 11 minutes of precursory tremor and uplift detected beforehand. The eruption generated a PDC that travelled more than 3 km south and an ash plume that ascended 7-10 km and drifted east. The eruption is still ongoing with waning strength but still…it has effectively disappeared from the international news has it not? (I am sure most people can detect my problem with the media…in another post I shall explain). Seismic activity began in late September and in mid-October a 3 day volcanic earthquake swarm occurred. Degassing intensified on the 28th and 29th emitting sulphur dioxide up to 2,000 tons/day. 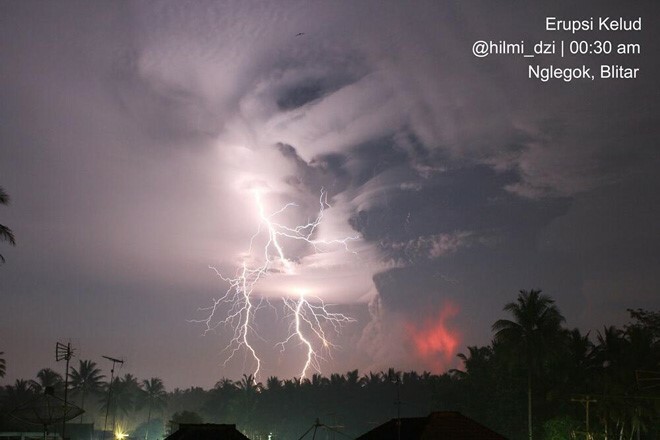 A small phreatomagmatic eruption occurred at 23:10 and lasted for 25 minutes, ending with a strong explosion. 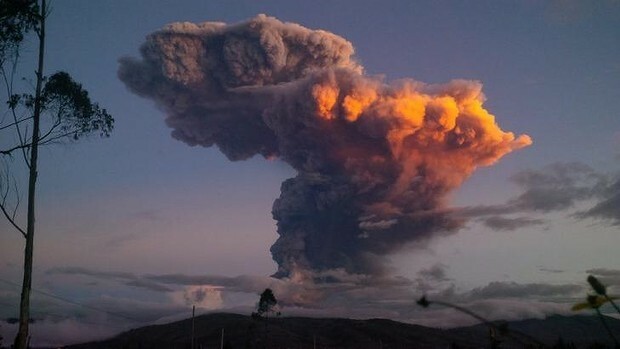 This strong explosion generated an ash plume that rose 5.8 km and drifted westsouthwast. I find it odd that some of the news articles say it is the ‘biggest eruption for the volcano in 100 years,’ because…well the Smithsonian has recorded it was categorised a VEI 2, with the previous 2 eruptions in 2013 and 2012 also at VEI 2. Like I have mentioned for Kelut already, that eruption was 2 magnitudes bigger. Image by BBC News (2014). I have been quite disappointed with the international media coverage of the destruction caused by Fogo, which last erupted in 1995. This volcano’s destruction has impacted the island’s economy severely in the short term and long term. Like the activity update says, the consequences is the destruction of property, infrastructure, utilities, agriculture and tourism. It will take a considerable amount of time to get the destroyed villages of Portela and Banaeira to rebuild and for livelihoods to return back to normal. That is even if those that have been displaced are willing to return. The BBC provides some powerful photos of those displaced from the eruption. Image by the Japan Coast Guard (2013). It is the baby volcano! The latest update is from the 27th December but the continuous Strombolian activity and lava flows has been building up the island throughout the year. 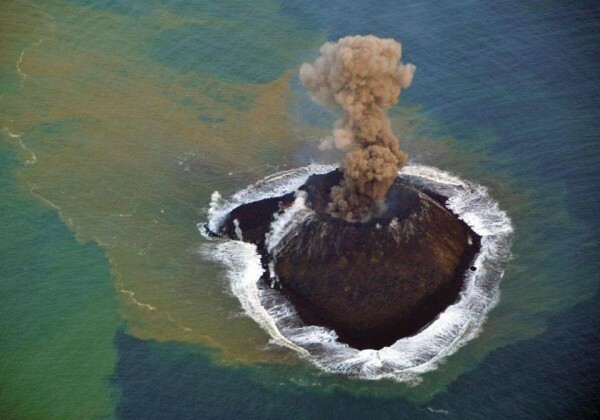 Since November, the volcanic island has doubled in size. This blog post describes its evolution, comparing it to Surtsey off the coast of Iceland very nicely. Image by Esplana M. (2014). Taken from here. 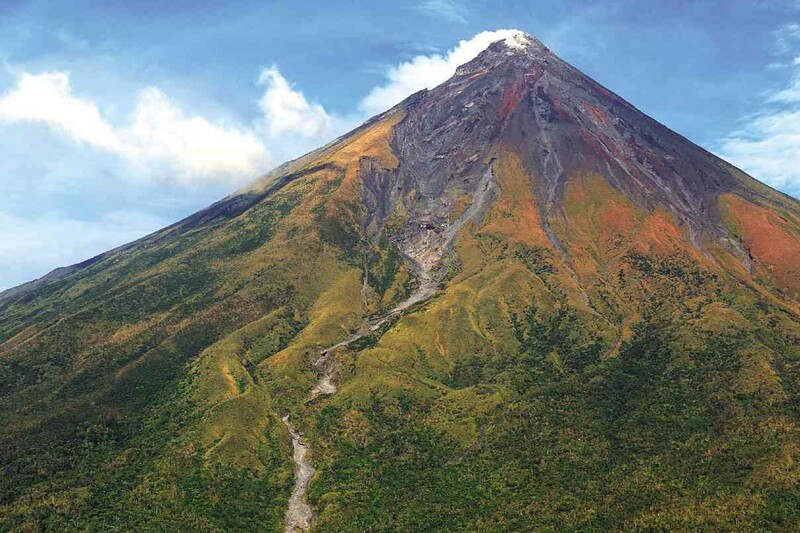 A friend brought this volcano to my attention and I can see why: during August, the Philippine Institute of Volcanology and Seismology reported the growth of a new lava dome, ground deformation, increased volcanic gas emissions, earthquakes and rockfalls. From mid-August there was emission of white steam plumes. Inflation was observed in the edifice throughout September, along with the first signs of incandescence in the crater. Since then, the alert level has remained on 3 (out of 5). She is gonna blow at some point. Of course, the 12 volcanoes featured were not the only ones to erupt this year. About 60 or more eruptions happen each year and some are continuously erupting without any sign that they will stop. 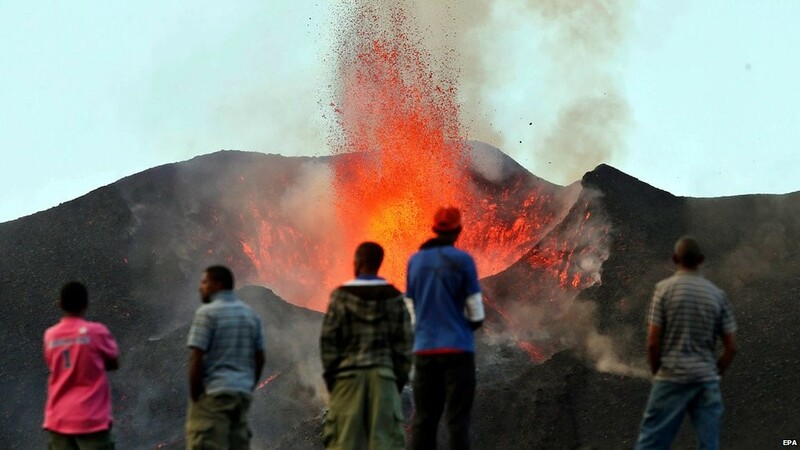 2015 is a new year for volcanoes, with some grabbing the spotlight and others not so much. A Q&A Sunday (brother suggested it because it rhymes) will appear in the near future and a glossary page will appear soon after and will be updated often.